Do I have a recipe I am super excited to tell you about! Adapted from Martha’s Great Food Fast Cookbook. Directions: Preheat oven to 350F. 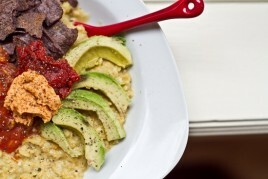 In a small bowl make the chia or flax egg and set aside. Place lentils in a small pot and add a couple cups of water. Bring to a boil and simmer for about 25 minutes. Remove and rinse in colander. While the lentils are cooking, toast the walnuts by placing the walnuts on a baking sheet and cooking at 350F for about 12 minutes until golden brown and delicious. Let cool. In a food processor, process the garlic, walnuts, toasted bread OR breadcrumbs, garlic, spices & seasonings until combined. Now add oil and lentils and pulse until coarsely chopped (some lentils should be visible and left chunky). Add the flax or chia egg and pulse a bit more until combined. Now shape 4 patties with hands and place on a baking sheet lined with parchment or a non-stick mat. Bake at 350F for 20-22 minutes on each side for a total of 40-45 mins. bake time. Makes 4 patties. After baking they are golden, slightly crispy and the house smells incredible. You will be salivating. I had it served up in a bun with lettuce, tomato, ketchup, mustard, S & P. I also had a patty just plain on the side because they are to die for. I am off to gather my running things for the 10k race tomorrow. The race is almost an hour away and begins at 7:30am, so I have to leave the house by 5:50am sharp. Ick. I’ve got the pre-race butterflies! That’s a long way to drive for such an early race! You rock for doing that. On a Monday morning. Have a great race! Wow good luck for the race!!! oooh thankyou for sharing these Angela – they look WONDERFUL! I just came home from the grocery store hoping you would have posted this recipe by now! I bought things that I thought you would have put in them! haha. I’m off to make them! oh my god these look amazing! 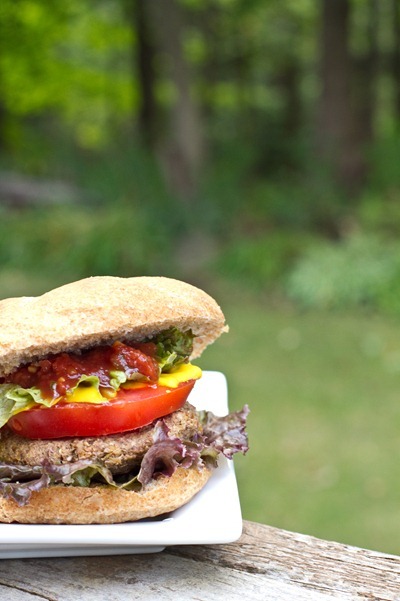 i am definitely adding these to my veggie burger rotation as well! thanks angela! 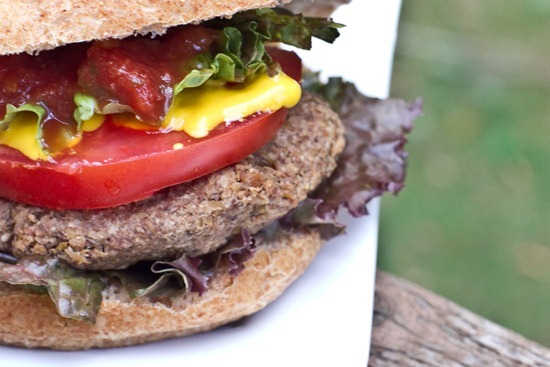 This will be a perfect Labor Day burger alternative…can’t wait to make them! OH MY, I think I’m literally salivating — I must make these! You have such amazing recipes! YUM-O! Oh, my goodness! They look so good! I also wanted to let you know that I made the pumpkin scones, and they were INCREDIBLE! I used 2 cups of unbleached all-purpose flour instead of 1 cup all-purpose and 1 cup spelt, and substituted 1/2 cup turbinado sugar for the 1 cup powdered sugar for the glaze–I couldn’t find any vegan powdered sugar, but the natural foods market in my town will probably be restocking soon! =D–so the glaze was grainy, but still really, really good! It actually added a nice, sweet-spicy crunch to the scones that I (and everyone else!) really enjoyed. Also, the scones themselves have a LOT of protein! 21 grams a pop in my batch! How did you get such good protein stats on your scones? Did you add something else/different to them other than Angela’s ingredients? Just curious! I also want to make the scones, got everything I need to make them tomorrow morning, yum! Nope! I think it was probably just the flour. Agh! The flour I put into the calculator was entered by someone else (and incorrectly, at that! )–there are really only 3 grams of protein per scone. Sorry about that. Ha! Now that makes sense! I just could not picture that high protein amount in those scones with the ingredients used. Thanks for letting me know Carolyn! I can’t wait to make the scones! (wasn’t able this morning but it isn’t going to scape me this afternoon! Hi Angela. 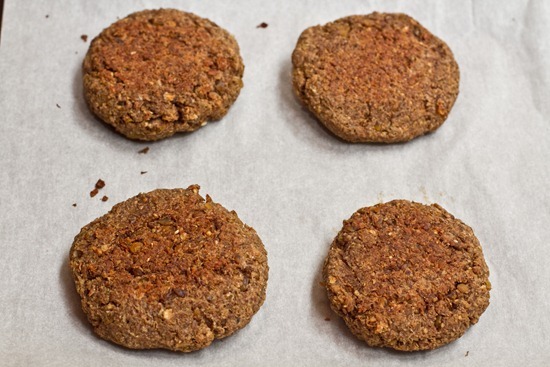 Can these uncooked burgers be stored in the fridge overnight and in the freezer longer? Danielle, I’m sorry it’s been so long since I’ve made these that I’m really not sure. I think they could dry out. I would scan the comments to see if anyone has reported trying this out. Sorry I can’t be of more assistance! Oh my – these look absolutely scrummy. 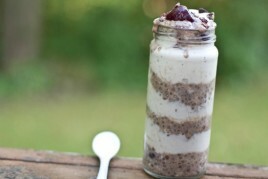 I am so making these soon! Those burgers look amazing! I will be making them tomorrow night for dinner. Good luck on your race tomorrow. You are very well prepared and you’ll do great… I can’t wait to hear the results! Good luck on the race!! These sound like they would go well with some onion soup on a rainy, fall day. Thanks for the inspiration! The burgers look great! Good luck on your race tomorrow. Dang that’s early! Good luck tomorrow! these veggie burgers sound awesome and your description of food is always soooo great…makes me want them now. good luck on your race!! I am sure that burger will give you good energy for your race tomorrow! You can do it…have a blast! Amazing. Your recipe-making ability never ceases to amaze me. And GOOD LUCK on your run!! These burgers look so good! 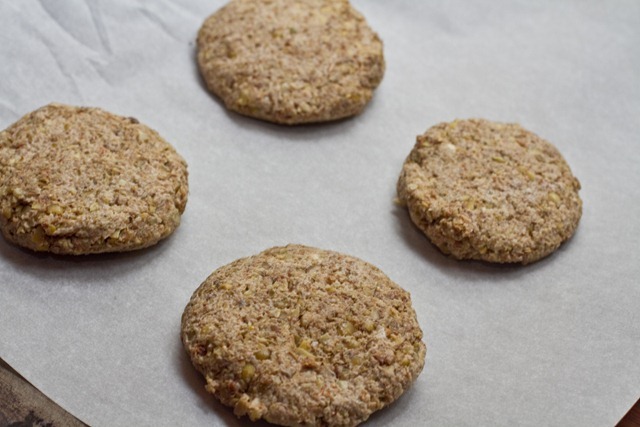 I might try them out tomorrow instead of my sunflower seed burgers I was planning to make. One question, though… how exactly do you grind the chia? I’m sure that the way I’ve been doing it cannot be the easiest way. Good luck at your race tomorrow! My oh my what a delicious dinner! I love your creativity. Don’t worry about the race, you will ROCK it! Those burgers sound delicious! 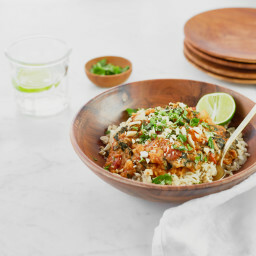 The lentil/walnut combo remind me of the lentil loaf that jenna made a while back. I bet they’d be great on a bed of greens, too. When you begin a post with ‘oh dear me’ I know it’s gonna be a good one! I love making my own veggie burgers and freezing them for future lunches/dinners. Good luck with the race!!! Those DO sound really good. If they’re anything like Sunshine burgers, I’m sure they are! Good luck in the race tomorrow!! The burgers look awesome Angela!! I just tried a recipe of lentil-quinoa burgers this weekend, turned out pretty good but I still want to perfect it. I made your chickpea burgers this week and they are by far the best burger EVER!!! I loved them, made it twice this week as both my husband and son loved it too and there were no leftovers on the first day I made. They are my very favorite veggie burger of all times, I love chickpeas so they were a true perfection to me. Plus I love lentils too and after the chickpea burgers I decided I needed to have a good lentil burger (hence the lentil-quinoa trial!) too. Now I have one more recipe to try! drooooooooooling! i bet the walnuts are great for richness and i love peppery lentils…these bad boys are right my alley! Dear me those look delicious! Have a great run tomorrow Angela! Good luck in your race tomorrow! I just wanted to tell you I made your chocolate blueberry cake today for my birthday and it was so good – thanks so much for the recipe! I added some applesauce since you said it was dry, and it was not dry at all – very rich and dense. Thank you! hi angela, the lentils burgers look so delicious. i made the chickpea burger and those were awesome. i will make those this week! have a nice day tomorrow. i love your blog and you have inspire me! Good luck on the race! I can’t wait to see the recap :-D They’re my favorite posts! How funny. Just came on here to say I will be buying your book should you decide to produce one and the comment above mine references you creating a recipe book too! My first comment on your blog. I have truly enjoyed following it and made the vegan choc chip cookies tonight and they are yummy, love overnight oats and wish you came to my local farmers market with your bars! (Washington state) Thanks for all your inspiration and wonderful recipes. Good luck on your race!!!!! OMG YUM!! These look fantastic! 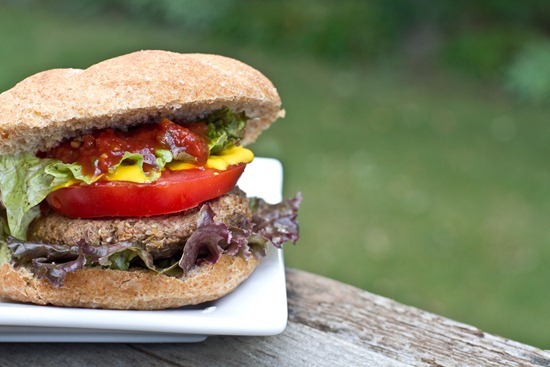 I am SO glad you posted this- I’ve spent my life trying to find a half decent lentil burger recipe!! THe burgers look lovely! good luck for the race! Great recipe! I will definitely try these! Hope you have a great race! I have been wanting to make lentil burgers for a long time now – and your chickpea burgers are the best! I can’t wait to try these! These burgers look delicious! I can’t wait to try them. Good luck at your race today! Angela! They look just delicious. Great leftovers after the race, right? Will these be the next parsnip fries, lol! :) Thanks for sharing! The list of the ingredients doesn’t include the garlic as in the directions. How much garlic is needed for the recipe? 3 cloves I added it in, tks! Hi Angela, I always love coming to your site. Your recipes are oh so good (the ones I have tried, I love). These burger love wonderfully delicious. I will have to fix me some parsnip fries to go with my burger. Thanks for all you do! I just made these burgers in my new food processor and, I must say, they were AMAZING!! Not too hot, not too bland. I love that they had a crunchy outside but slighty mushy inside. Served them up with homemade sweet potato fries and even my 3-year-old gobbled them up :) Thank you for such a good recipe!!! these are in my oven right now! I made these burgers last night and LOVED them! I ate one and my boyfriend (who is not vegetarian) gobbled up THREE. The last one was supposed to be my lunch today! Guess we will just have to make another batch! Thanks!! WOW. I took your word for it and made a ~3x batch, turns out it was a good choice as they came out amazing despite my heavy-ish modifications…I only had about 1/2 cup of walnuts and I had around 4 cups of lentils (went overboard cooking a batch a few days ago..hence the motivation for making these burgers :), in addition to these I added around 1 cup sunflower seeds (much cheaper than nuts..) and 1 cup Brazil nuts, so my lentil/nut ratio was a bit different than in the recipe. Then I only had around 2/3 cups bread crumbs, so I subbed the remainign 1/3 cups wheat germ. And the amount of garlic scared me so I only put around 6 cloves. AND I left out the coriander as I didn’t have any. For the cumin I have two types, the actual “cumin” and then another which in my mother tongue is called cumin but turns out in english it is called “caraway”. I put half and half since I wasn’t sure which one it was…Oh and I ended up putting in 2tsp salt (double), the batter tasted so bland after 1tsp but of course the cooked version is rather salty now (will be good with veggies though). I know, are we still talking about the same burgers? :D Anyway I just took the first batch out of the oven, tasted one and LOVED it. Let’s see what my meat-loving husband says… Thank you Angela so much for sharing your recipes with us! Delicious! I changed your recipe a little bit and made them as sliders (smaller) – they were amazing. Thank you for this recipe, they look delicious. 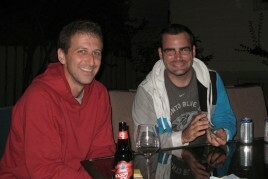 I love the pics, really completes the sandwich. If I may ask, what did you serve with these? Good luck with your race! Oh my goodness, these are so good! I stopped eating meat two weeks ago and this was my first “veggie” burger experience. Even my husband loved them and said to add them to our regular repertoire. Yum! Making these burger right now! YUM!! Hey Angela, thank you so much for this recipe. I tried it the other day and it was so good! I even mentioned it in my blog. My husband who is basically a carnivore liked it! WOOT! These were delicious! Definitely had “burger flavor” and hit the spot. I ate 2 of them and my picky 2 year old son even ate his! Thanks for the great recipe! Definitely will make again! Just put these in the oven already love them-yep, I tasted the batter too! Thanks!! Made the patties and will be cooking them for dinner. They look so good! Can’t wait to try them. I came to your site looking for something different to make with lentils. Found this recipe. I LOVE IT! I totally agree that these will go into the veggie patty rotation! I have just found your site after googling “best vegan lentil burger” and would like to try the recipe, which lentil do your use? I’d like to make them for a vegan swap. Do you think I can freeze the patties once cooked, or should I freeze them uncooked? WOW. I made a double batch and had one leftover, so I fried it like a burger in a pan. AMAZING! Thanks! Hi! I love all of your recipes! just whipped these up and have them in the fridge, waiting for dinner! I’m wondering about cooking just one and freezing the rest for later use. Have you tried this at all? 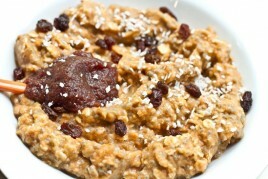 I modified a recipe similar to this and used walnuts iinstead of cashews. I think the walnuts are better. I also add turmeric for the health benefits and grated carrots. Hey Neila, Thanks so much for your feedback. It sounds like you made some fun changes to the recipe! It’s been a while since I’ve made these (I tend to make my Oh Em Gee Veggie Burgers: http://ohsheglows.com/2016/08/31/oh-em-gee-veggie-burgers-from-my-new-cookbook/), but I do recall the lentils produce a fairly dry texture. You could try adding some mashed sweet potato as it’s good for binding and moisture. I would suggest trying my OMG Veggie Burgers for a moister texture. Happy cooking! And please let me know what you think if you try them out. I made these last night. They are quite tasty, but break apart easily. Maybe I did something wrong. I ate one plain to try them. However, based on my results they would be difficult to eat in a burger because they don’t stay together. I cooked them in the oven. Grilling them would have been impossible given their consistency. Hey Troy, Thanks so much for your feedback! I’ve been meaning to revisit this recipe as it’s an older one. If you haven’t tried them already I’d suggest trying these: http://dev.ohsheglows.com/2016/08/31/oh-em-gee-veggie-burgers-from-my-new-cookbook/ as they hold together well and taste amazing. They require more prep but it’s worth it as it makes quite a few. I’ve made these twice now and they’re quickly becoming one of my favorite burgers especially since they’re so quick if I have cooked lentils! Mine held together well – and they freeze and reheat in a toaster oven great. I love throwing them in a grain or pasta bowl! 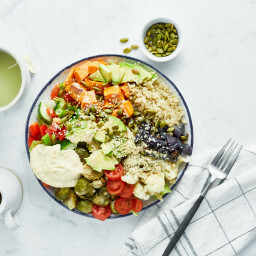 I am making these for dinner tonight– they look great so far :-) but since there are just two of us (so we’ll have two burgers left over) I am wondering if you’d recommend going ahead and cooking all 4 at once, then just reheating the two that are left? Or would you just cook two and put the rest of the mixture in the fridge and then cook them right before eating. (Sometimes recipes like this taste great the first time but don’t keep well– but sometimes they do :-) ) Thank you!